SALT LAKE CITY, Utah – HARMAN’s DigiTech is celebrating “Stomp-tember 2012” with the release of its new Unplugged Acoustic Simulator for the iStomp downloadable stompbox. The Unplugged Acoustic Simulator transforms an electric guitar to sound like an acoustic guitar, and includes built-in Lexicon® Hall reverb to add fullness and presence to the acoustic guitar sound. 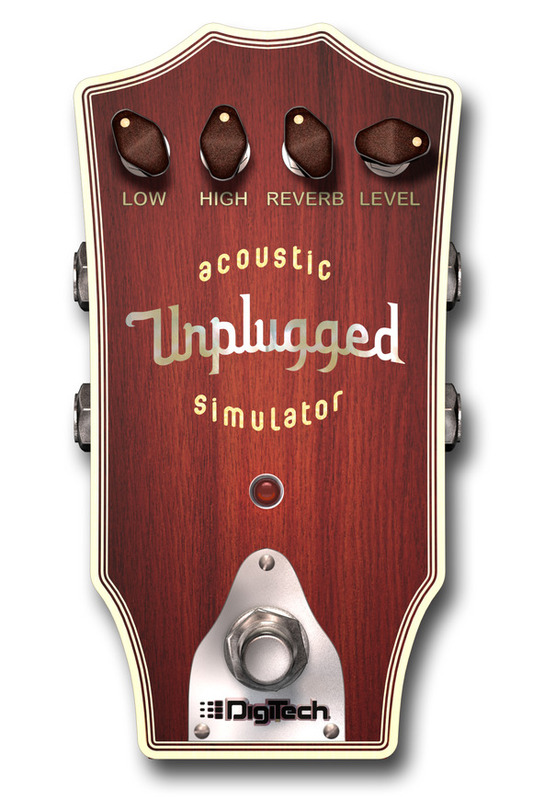 The Unplugged Acoustic Simulator uses proprietary Harman-developed DSP algorithms to analyze and process the input from an electric guitar and transform it into the sonic signature of an acoustic guitar, with all of its distinctive acoustic timbres, harmonic complexity and dynamic responsiveness. The acoustic ambience can be further enhanced by dialing in the e-pedal’s Lexicon Hall reverb – the classic lush, expansive reverb heard on thousands of recordings. Adding to its sonic spaciousness, the Unplugged Acoustic Simulator features true stereo inputs and outputs. Its controls include LOW EQ, HIGH EQ, REVERB (reverb level) and LEVEL (effect level). The DigiTech Unplugged Acoustic Simulator e-pedal will be available in September 2012 at an introductory price of $0.99. This introductory price will run through September 31, 2012. After the introductory period the price will change to $7.99.